NOTE CHANGE IN SCHEDULE TO MONDAY/ WEDNESDAY/ FRIDAY (except National & School Holidays). Be sure to check our online calendar for changes in schedule due to holidays and private events. 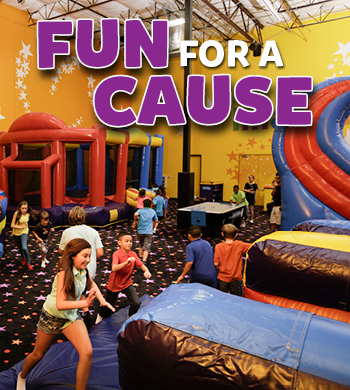 Reminder - Socks and a signed waiver are always required to play at Pump It Up. IMAGINATION JUMPS ARE GENERALLY HELD ON SELECT FRIDAY MORNINGS. PLEASE CHECK OUR EVENT CALENDAR ONLINE. 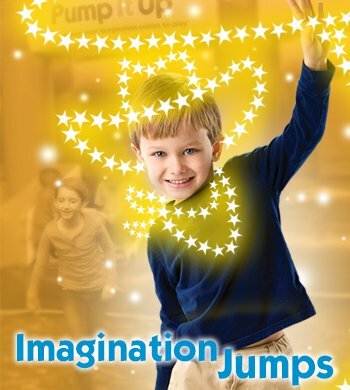 Join us for Imagination Jump. Be sure to check our online calendar for the theme for each session and changes in schedule due to holidays and private events.